After 16 years in the business, Incu has drawn on its success as a retailer to cultivate its own namesake label offering both men's and womenswear to its own customers, as well as several wholesale accounts. 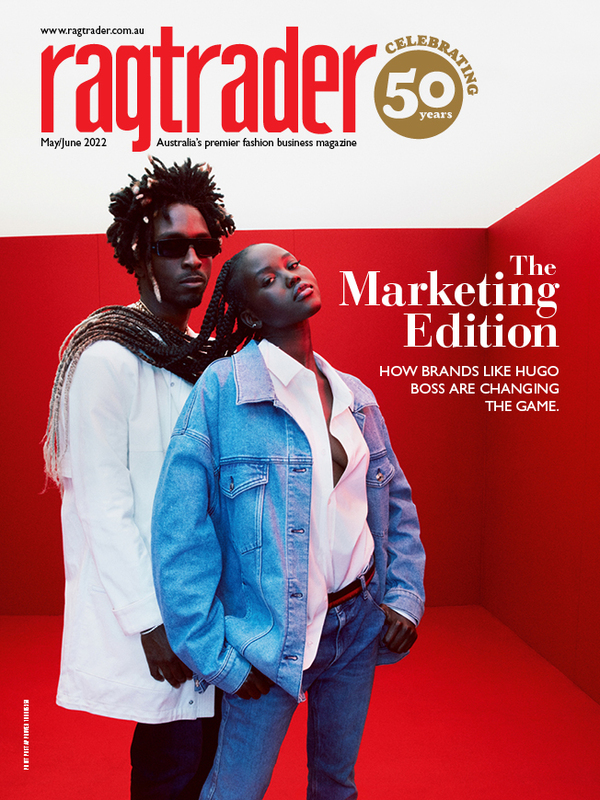 Ragtrader.com.au spoke with Incu Collection's designer Ben Pollitt and wholesale manager Sam Skelton about the label's inception and plans for growth. “Brian and Vincent [Wu] were keen to put the Incu name on a tangible product,” Skelton explained. “The business itself has existed for 16 years and really up until the start of  we had never actually put Incu on any product. “There had been a few little bits and pieces that were like maybe a collaborative candle or something like that but definitely no full scale men's and women's collection. Skelton has worked with the business since 2010, in both the retail stores and now as wholesale manager, whilst Pollitt joined the team in mid-2017 after working for Nicholas, Camilla and Marc, Tuchuzy and having his own label Friedrich Gray. “I have worked for retail stores that have done in-house brands with Green With Envy and Nicholas, Tuchuzy – so, it was a nice fit to actually understand how that process works,” Pollitt said. He explained the importance of getting it right when launching the label, whereby product is just one part in the overall mix of elements. The label began as a capsule collection purely for Incu stores before moving into the wholesale sphere in July last year to work with other retailers. This allowed for the team to test out what product worked for the stores' customers and what didn't. “From that collection, we had great sell-through on some key knitwear pieces, some outerwear jackets, women's pants and skirts were really good,” Pollitt explained. He attributed its success so far to affordable price points, good fabrics and cuts that have a point of difference without being “too fashion”. Skelton added that being a retailer, Incu has the benefit of knowing what product is missing from its own stores – something Incu Collection has been able to fulfil. “We know where the gaps in our own stores are product-wise. Since its launch last year, the label has picked up eight wholesale accounts, including The Iconic. It also started to work with PR and sales agency OMGfive to focus wholesale on its womenswear line. This year, the brand is looking to continue increasing brand awareness through influencers and some potential collaborations. It will also work on growing its wholesale accounts organically, opting for quality over quantity Skelton said. “We're keen to continue to raise that level of brand awareness overall for Incu and one way to do that is to work with other stores and other retailers. “The Iconic have, probably largely, a different audience to Incu. So, it's good to engage with that audience through our collection. “I think it would be nice to double [our wholesale accounts] but we want nice, organic growth and definitely quality over quantity. “Obviously, we've got x amount of Incu stores, so we don't have pressure units wise. Pollitt reinforced this, adding the retailer's experience worked to the label's benefit in understanding how to create and sell product that customers want. “In terms, of a product point of view, Incu has got 16 years of experience as to how to retail and how to sell garments in a space – so, it's about creating collections that maximise that experience and so that it does actually work really well for other retailers that we sell to. “That's a big talking point for us, when we talk to stores, that we understand the cycle within a season and what months are key and what months other brands don't do a delivery. Each monthly drop has between 10 and 15 products depending on the month, with the start of the season having a bigger drop than other months. For products that work well, the brand is able to have it re-cut and in stores in four weeks from its factories in China but Skelton reinforced the importance of being mindful in its approach. “I think we want to be really quick to react and try to get product in the market if we see something working but still in a considered approach. From its next production, the brand will work towards moving all packaging to biodegradable for its garments. In terms of its wholesale accounts, Skelton said they have picked up more of the brand's statement pieces, as opposed to basics. “[This] creates a nice balance in the collection because we don't want to be doing core basics – that's not a collection,” Pollitt said. The menswear collection features washing and finishing to give the products a pre-worn yet polished look. The womenswear collection features cottons, silks, linen and knitwear made from mohair, wool blends and 100% wool. “My background – having worked in that womenswear contemporary fashion space – is trying to bring high-level detailing and finishing and washing and fabrication feel but at a price point that's affordable,” Pollitt said. Dresses are priced between $280 and $340, knitwear between $220 and $300, pants are $200, jackets between $240 and $350, and tops are between $150 and $220. “There will be an entry-level product but then we'll do something a little more elevated as well because we definitely don't see this as just a basics brand or an in-house brand that's just there to fill gaps,” Skelton said.